Do you want to set your own schedule, travel the world, and spend more time with your loved ones? Social media provides a scalable marketing platform for anyone to create an online business. 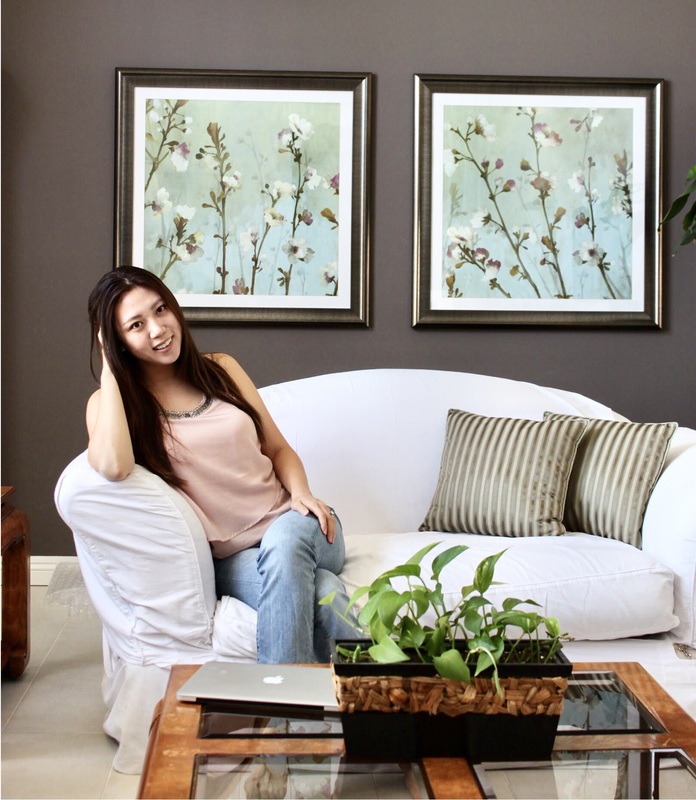 Christine Park created two six-figure businesses leveraging social media to do just that. Xtine Park Consulting focuses on helping ambitious entrepreneurs build a business that serves them and the lifestyle they want in a way that’s intuitive, strategic, and lucrative. Christine’s motto is “Rule your life and business, not the other way around.” This mantra comes from her own experience of rapid success by creating businesses that enrich her life. Tell me a little bit about your background and how you ended up choosing your field. I got my first taste of entrepreneurship when I started helping my Mom with her local tutoring business during my undergraduate studies. We hit our first five-figure month after three months and then over a quarter million in the next eighteen months. That’s when I realized anything was possible and risks are worth taking. Corporate America struck my curiosity since my parents always impressed upon me that job stability with a large corporation was part of the American Dream. I decided to try it on and was recruited to work for a multi-billion-dollar corporation as a marketing manager. I was responsible for launching, managing, and optimizing huge campaigns across digital media. Launching my own digital advertising agency came naturally after I left Corporate America with this experience. I started offering Facebook Ads services for eCommerce clients and success came more rapidly than I imagined: I signed $40,000 client retainers and hit consistent five-figure months. I started to shift my focus this year to reflect on what makes me feel truly fulfilled and happy. I enjoyed creating my agency business because I excelled at it, but I also wanted to create a deeper connection with the people I served. This led me to start my online coaching business helping ambitious go-getter entrepreneurs build their own online business. I want to help my clients to leave their 9-5 and live a life they love, full of freedom, purpose, and abundance. Once I defined my vision, I took my coaching business without any online following or awareness to $20,000 in six weeks. Helping entrepreneurs create a business and life they love is my primary focus, but I still run my agency on the side. The two sides of the business work well together because my knowledge and experience with my agency clients allows me to help my coaching clients with their Facebook ads or their own agency business. I was recruited to work for a startup company in 2015 and thought it was an opportunity to climb the corporate ladder. Superficially, I had an amazing job with a cushy paycheck with all the startup company perks. However, it wasn’t long until I started feeling out of place. I missed running the show like I did with my Mom’s business and began to realize if I didn’t pursue my entrepreneurial dreams now, I would be stuck playing corporate hopscotch until retirement. Working tirelessly for someone else rather than creating something of my own was a depressing thought. I really wanted to make an impact on others in a meaningful way while also creating more freedom and abundance in my life. I also wanted to help others do the same. I became pregnant with my first baby while I had this epiphany. It was now or never! Seven weeks into my pregnancy, I quit my job and headed straight into entrepreneurship. What were the biggest initial hurdles to starting your business and how did you overcome them? The first hurdle was deciding what business to start. There’s so much information out there and it’s easy to get stuck consuming information and feeling lost on which idea to pursue. I was stuck in this “analysis paralysis” stage for a while. Meanwhile, I had just become a mother for the first time. My husband and I discovered our child suffers from a rare birth defect called Septo Optic Dysplasia, which causes visual and hormonal impairments. The news hit me hard and I had difficulty continuing with my business for some time. Some believe you can separate your personal life from your business, but they are so integrated to me that one affects the other. I wasn’t in the thriving mental and emotional space I needed to be in to move forward with my business. My child’s diagnosis felt like a loss in the family. I needed time to grieve and mourn this lifetime condition my baby would have. Motherhood is an incredible challenge. However, learning to be a mother to a child with special needs adds another layer. Once I accepted my child may never see, I stood at a crossroads: my business was either going to move forward or it wasn’t going to be worth my time anymore. Unexpectedly, my son’s disability created a newfound purpose for my business: to provide him with the resources he needs to navigate a sighted world. I want to provide an enriching and abundant life despite the challenges he’ll face. I also need to show him he can achieve anything he sets his mind to. I transformed what was a devastating situation into a powerful purpose behind my business and it pushed me to finally get unstuck and take action. In your coaching business, know your truth. What’s true for you personally when it comes to world views, business, and life? What did you struggle with before that your clients may be struggling with right now and what did you glean from that? How did you overcome those struggles? With social media, you have a scalable platform to communicate your truth to the world and be visible to your target audience. Your truth is your unique message and this is what will help you develop your positioning to stand out. Have a solid online marketing strategy and funnel in your business. Whether it’s through Facebook, LinkedIn, or Instagram, your online funnel is what facilitates the relationship-building process with your audience through consistent communication that builds the know-like-trust factor they need to convert from being a cold audience to paying customers. Being visible and having an automated funnel are the two key things you need to get high-end clients to come to YOU. There is never a perfect time to act and launch your dream business. If you wait for that perfect timing, it may never come. Time will continue to pass on with or without your business. The time to act will always be now and it doesn’t have to be perfect either – I started my agency business with no clients! I ultimately pivoted my business to focus more on online coaching, but my agency helped me build momentum and authority regarding a specific subject matter: Facebook ads and agency-building. A lot of entrepreneurs start an online business to create a life they love but end up trapped by their own business. It is my mission to help entrepreneurs rule their life and business, not the other way around. Tap into your intuition to gain clarity and direction around your business that’s aligned with your values and goals. Be strategic about setting up the right systems and processes you’ll need to scale your business. Create a lucrative signature offer and business model so your business can serve you and your dream lifestyle. These three pillars are the core of my program, and I leverage my corporate ad agency experience to help my clients see success with Facebook ads in their own online business. Investing in a business coach was the key to my rapid success. When you’re starting out as a solopreneur, it’s so easy to get stuck in your own limiting beliefs and procrastinate on making decisions. I didn’t want to give myself excuses when it came to my success and happiness. Receiving the support and information I needed pushed me to take strategic action and hit five-figure months.